Adelaide City Council has tripled its environmental incentives scheme and set aside $150,000 to encourage adoption of ‘green’ technologies. Small businesses, office buildings and schools in Adelaide will now for the first time be eligible for subsidies on solar power and other green technologies. For the past seven years an annual $50,000 incentives scheme has allowed city residents to claim subsidies on solar panels, solar hot water systems and rainwater tanks. The Sustainable City Incentives Scheme now includes businesses, office buildings and schools and has broadened the number of green technologies available to be subsidised. From July, the scheme will offer new subsidies for solar power battery storage and electric car charging stations and energy monitors, and expand subsidies on LED lighting, solar hot water and rain water tanks. 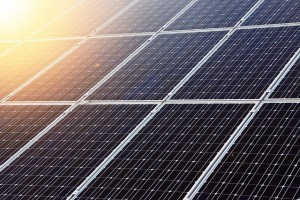 Adelaide City Council is the first government organisation in the country to offer subsidies solar power battery storage.